Nothing beats the convenience of pluging a little device on the OBD2 port of your car and getting all the engine data right in your smartphone. However, not all scanners are made equal and some are a waste of money. 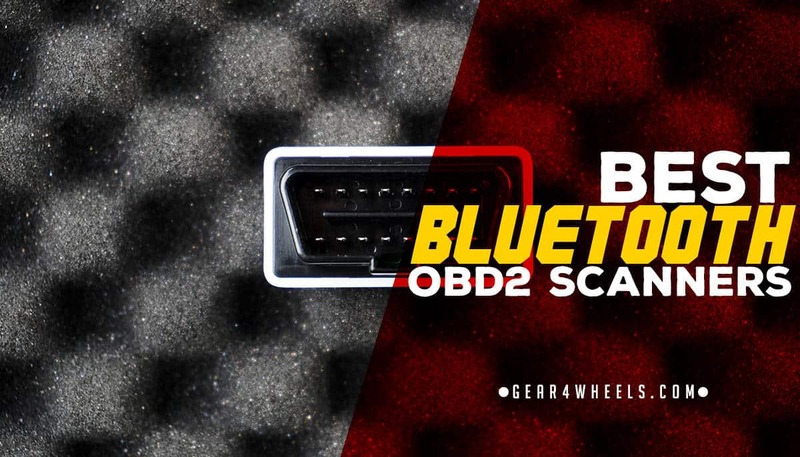 To help you find the best bluetooth obd2 scanner for your needs and budget, we review the top 5 units available on the market. Starting us off is this incredible diagnostic tool from BlueDriver. In our opinion and by quite far, the best unit of this kind. We like this scanner so much it even made it into our crème de la crème list of the ﻿﻿best obd2 scan tools overall (competing with monster tools meant for professional garages like the ones from Autel). Overall, when comparing this to a regular scanner, this is so much more than just a code reader. It was designed by expert mechanics to deliver comprehensive results and readouts so that you can better understand what’s happening in your car. What we like most about this scanner is that it connects to your smartphone and provides a detailed yet easy-to-use interface. This means that you don’t have to be an expert mechanic to utilize this system to its full potential. Best of all, it’s compatible with both iPhone and Android, so you’re covered regardless of the device you use. Overall, this unit is more like an expensive scan tool than a code reader. It provides an in-depth look at various features of your car while also giving you all the codes you need to understand what’s happening. As you can see, there is a lot that this device can offer for you. It has all of the codes for practically every major car brand, and it provides access to over 30 million accident reports so that you can pinpoint the problem right away. Overall, this is what your mechanic will probably use to diagnose your car, so save money and do it yourself. The only downside for this device is that it is rather small and delicate, so you have to be careful when handling it. Also, it may not always read airbags, depending on the make and model. With most OBD-II scanners, you plug it in, figure out what’s wrong, remove the light, and then take it out. However, the OBDLink scanner takes it a step further by allowing you to keep it plugged in at all times. This way you’ll always have access to your car’s internal systems and can monitor them wherever you are. Like the BlueDriver, this model has an app that provides detailed information about the codes, but the system is not as comprehensive as BlueDriver’s. 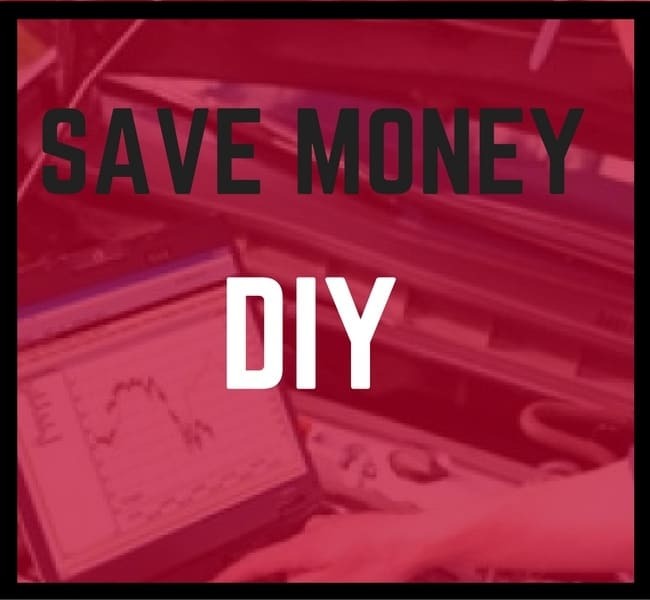 While it does cover more vehicles than most scanners, it doesn’t have access to the same kind of troubleshooting information, so you do have to do more legwork to get the same results. That being said, you can always connect it to a third-party app that provides that kind of detailed data, so there is extra potential. One cool feature about this scanner is that it also offers encryption so that hackers can’t break into your car’s electronic systems. This is another reason why you want to leave it in at all times so that your vehicle is always protected. Overall, this device is a step up from a generic code reader, but it doesn’t have quite as much information or assistance as something like BlueDriver. Also, if you use Apple products or drive a hybrid vehicle, you’re out of luck. If you were to compare this model with the OBDLink above, you could be forgiven for thinking that they are the same. However, there is a subtle yet drastic difference between the two of them, depending on what kind of vehicle you have. While the MX model above is compatible with all five protocols including Ford and GM, this version does not have the latter two companies in its database. This means that if you own a Ford or GM vehicle you should not get this device. Other than that change, this scanner has all of the same great features as the one above. It provides you with 24/7 support and access, provided that you leave it plugged in at all times. Not only can you diagnose your car whenever you like, but the system even protects against hackers as long as it’s plugged in. Best of all, it won’t drain your vehicle’s battery because it shuts off automatically several minutes after the car does. While we would prefer that this system had better reports and troubleshooting, the fact that you can connect it with most third-party apps means that you can most likely find the information you seek without many problems. Otherwise, it can provide quite a bit of relief to the DIY mechanic. As we make our way down the list, we are now looking at basic code readers, rather than comprehensive scan tools. This means that you will only get the codes for your system, but you will have to figure out what they mean and what you can do to fix the problem on your own. Fortunately, this particular device is better than most code readers because it is compatible with most third-party apps that can provide that kind of information. So, if you can install and connect the two systems, then you will have something worthwhile. The main selling point of this device is that it’s super cheap and easy to use. Overall, if you’re not trying to be a mechanic for your car, but you want to stay apprised of what’s happening underneath the hood, then this is the right product for you. Also, if you ever do decide to upgrade, it’s as simple as downloading an app. The one thing that we don’t like about this device, however, is that it’s designed for US brands, meaning that you might not get the right codes if you drive something from another country. Considering how popular foreign cars are, that could pose a significant problem. Also, if you have an iPhone or other Apple product, you cannot use this scanner. Our last scanner is another code reader that has the option of connecting to a third-party device to provide more detailed information. However, we like this particular model because it is much cheaper than the more comprehensive ones, and it is compatible with iOS devices as well. Unfortunately, you do get what you pay for, which means that this system does not have all of the OBD protocols stored inside. So, certain makes and models of both foreign and domestic vehicles will not work with this device. As such, you will want to double-check to make sure that your car is compatible before purchasing. Also, this unit doesn’t connect via Bluetooth, but wifi instead. So, if you have a spotty connection, then it might have a hard time syncing with your smartphone. Overall, this is a decent code reader that provides you with some extra options to add more value to it. Simply put, this is an electronic device that is designed to work with and diagnose the various electrical systems that are inside your vehicle. They are so handy and reliable that most mechanics use them as a preliminary measure to determine why the check engine light is flashing on your dashboard. The reason that this device was invented was to provide a standardized method for running diagnostics, which is why it works on almost all vehicles produced after the standard took effect in 1996. 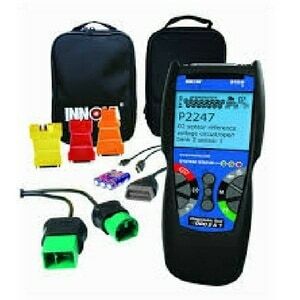 There are two primary types of OBD-II scanner. The first is a code reader and the second is a scan tool. Let’s compare the two to see which one will suit you best. Code Reader: these devices are what we looked at today, and they are relatively inexpensive devices that will simply relate what is wrong based on the information and codes provided by the manufacturer. Once you get the code, then it’s up to you how to correct the problem. Scan Tool: if you want a more advanced readout for your car, then you need one of these machines. There are different varieties, including those that go into further detail about each code and what it means. You can also get models that offer customizable access to troubleshooting data that can help you fix whatever problem exists. This will depend on the kind of device you get since various models have different purposes and connections. No matter what, though, each scanner connects to your car through the OBD plug that is inside. Again, all cars are required to have this, so all you have to do is research where it’s located for your particular make and model. To make sure that your reader works correctly, the car has to be turned on, but not started. Just have the electrical systems operating before you turn the ignition. Once it’s connected, you will most likely have to enter your vehicle’s information, including the make, model, and VIN. With basic code readers, they simply display the information on the device itself. However, as we saw with our list, you can also get a Bluetooth enabled version that connects to your mobile device. Overall, we prefer Bluetooth scanners because they offer more options and diagnostic tools than a standard model. Typically speaking, the codes will be separated into either pending or active, depending on the model you have. Active means that the problem is what’s causing your check engine light to stay on and pending indicates that something has already triggered a notice, and if it happens again it will activate the light. Usually, the scanner will display numbers that are preceded by a letter, such as P or C. Here are the most common dtc codes you will see. P: Powertrain. This includes everything from the transmission, fuel system, engine, and emissions. Considering that most problems fall under this category, you will most likely see a code with a P initial. C: Chassis. Things like brake fluid, your ABS, and your axles will be covered by this category. U: Undefined. This means that the scanner doesn’t know what’s going on with your car, which also signifies that there is not a code defined for that particular problem. B: Body. Internal systems like seatbelts and airbags are classified as B. Unfortunately, because the codes can vary based on the manufacturer, it can be difficult to determine what exactly is going on. Also, a single problem can trigger multiple codes, even though they are all related to the same failure in your car’s system. So, the best thing that you can do is research the code numbers specific to your manufacturer so that you can get a better idea of what is going on. This will ensure that you at least understand why the light was triggered and what you can potentially do about it. Usually, to get proficient at reading codes and fixing problems you need years of training. So, if you don’t know for sure what can be done to correct the issue, you will still have to bring it to a mechanic to get a more comprehensive diagnostic. Nonetheless, using your own OBD-II scanner means that you won’t get duped at the shop since you know more about what’s happening under the hood. No matter what you do as far as repairs, you can always reset the light from your scanner. In many cases, it will be an option on the main menu under CEL. However, just remember that if you do reset it without fixing the problem, it will most likely trigger again sometime soon, so just keep that in mind. When comparing all of the scanners, we have to say that the BlueDriver is by far the best one. It is much more reliable than the others and comes with so many different features that can help you get better about maintaining your car. Best of all, it offers the same kinds of solutions you get with an expensive scan tool, but for a fraction of the price.